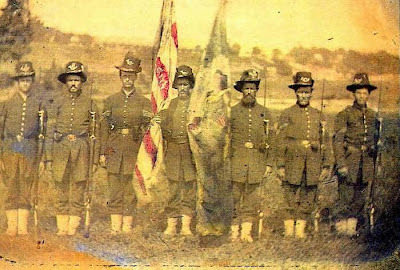 One of the most famous units in the Union Army was the Iron Brigade consisting at that time of the 2nd Wisconsin, 6th Wisconsin, 7th Wisconsin and 19th Indiana. The 24th Michigan would later become part of this famous brigade. The Iron Brigade had the highest percentage of casualties of any brigade in that war.